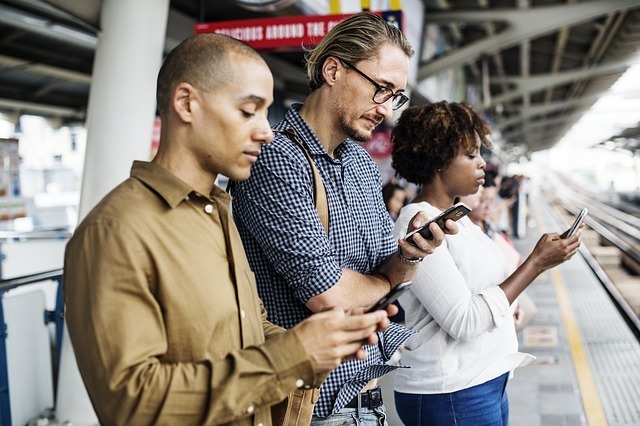 We don't have Verizon, t mobile or at&t network and not in the UK or United States (US) where unlimited data plans goes for as low as 20 pounds (less than 10,000) so the Best and cheapest phone plans with unlimited data available today in Nigeria is the NTel cell phone plan of N500 for 2 nights and doesn't require any virtual private network (VPN). NTel is currently seen by many as having the most affordable unlimited 4G LTE data plan. The N500 is Unlimited for 2 nights from 10pm to 6am each day. So if you have huge downloads - movies, huge APK files, windows update, YouTube videos upload and other heavy data usage to do, this is the best for you. NTel currently offer other 4G data plans for its prepaid subscribers. 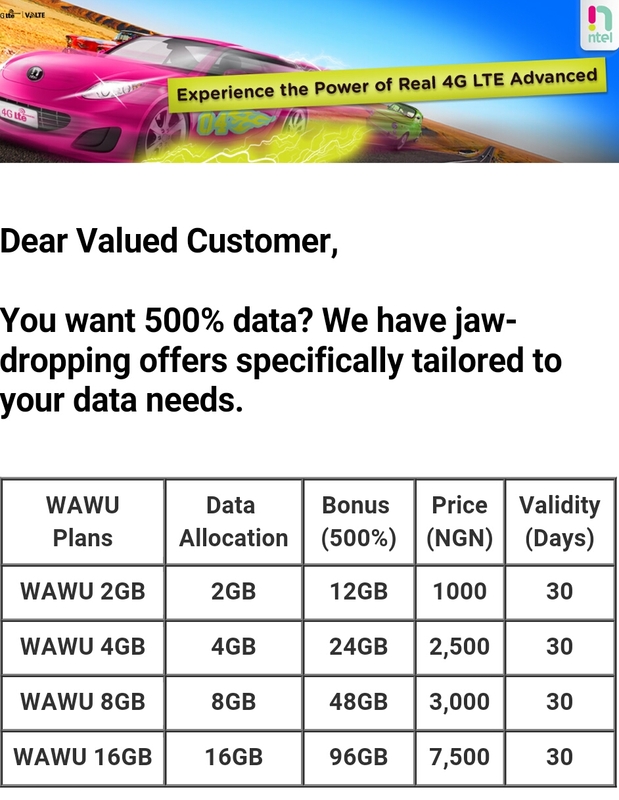 One of them is the WAWU data only phone plan which gives 12.5GB to 13GB for just N1,000 and valid for 1 month. Unbelievable right? I felt like this also until i bought a WaWu SIM and currently enjoying this mobile data plan on my smartphone. You too can enjoy this but only if you have a 4G LTE smartphone that support band 1800 (3) or a 4G Mifi or router. N7,500 gives 96GB ... All for a month (30days) and no excessive data consumption (data "zapping") because NTel charges at normal data rates. There you have it, the cheapest Unlimited 4G LTE data plan currently available. is it every month or just once ?